Over the previous three articles I’ve talked about what Asynchrony of AV Media is, how it’s perceivable to humans, and how it can be introduced when working with video. This final article will discuss how it’s avoided by the industry and the conclude the series. Anybody interested in mixing/editing films will have no doubt looked at the myriad of sources available to us to learn the who, where and what to use, when it comes to film/TV post-production. 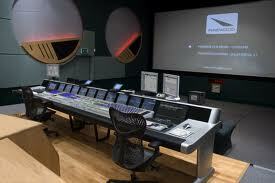 As such, you’ve probably seen pictures of great facilities like Pinewood Studios and Pepper Post Sound. In the smaller rooms you have a fairly simple set up that a home studio could easily match, some sort of control desk, Computer Screen, and some sort of 5.1 set-up quite close to the mixer. 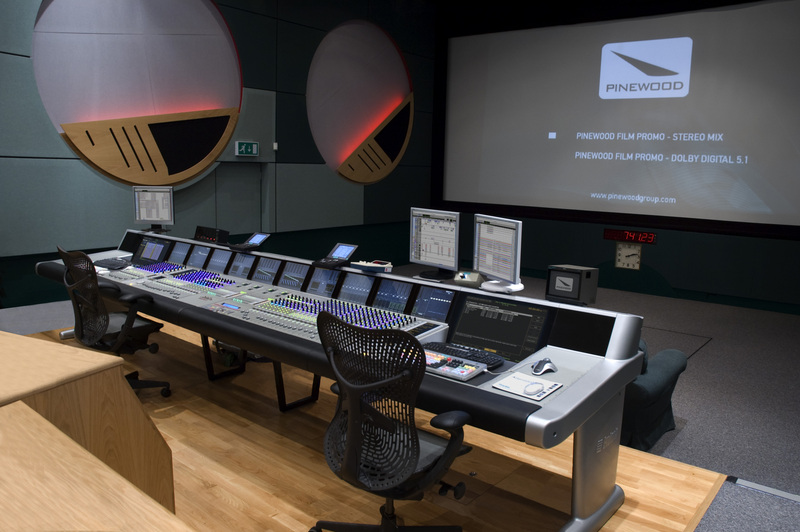 Though when you move up to the big theatres of Pinewood you’re faced with a room big enough to replicate a cinematic experience. With all I’ve discussed before you might wonder why we’re not all noticing huge problems when we go to see out latest block-buster movie, which will undoubtedly have been mixed in one of the large rooms. The reason for this is the mixing position. 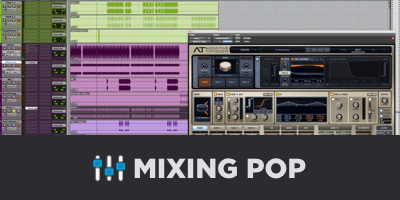 In any of the large studio pictures you’ll see the mixing position in the center of the room, and this is what provides everyone with good syncing quality. With the mixer at the middle of the room they will be subject to the same problems we discussed in the previous articles (they could be, for example, 50 feet from the screen and could therefore be 50ms/just over 1 frame out). As such they will mix for their position in the middle of the room which should average out any errors all over the room. For this reason the back that could have been 100ms out of sync is now appearing only 50ms, seeing as the film’s been mixed as if the screen were closer to them. The only issue I can foresee with mixing in the center is the risk of the people at the front receiving the sound early, which we learned is something to avoid even more-so than being late. In smaller mixing rooms, despite the distance between each speaker being greatly reduced, the ratio of the distances will probably be similar so if it’s then played in a larger room, there shouldn’t be too much of an issue between the translation from small to large. Most of my cinema discussions have talked about someone at the back being 100ms out of sync, but this is only from the front of the room. In a cinema you’ll likely have at least 5.1 and probably something like 7.1. 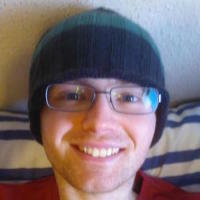 This could possibly cause a lot more problems with syncing errors. If we go back to our poor guy stuck at the very back of the cinema he could be struggling with the dialogue from the front of the cinema but be hearing all of the rear speaker information, such as weather or ambiance too early, making for a pretty odd viewing/listening experience. Once again the saving grace is the central mixing position, but the 5.1 argument raises important points about then taking the soundtrack down to stereo for consumer release. If the audio is simply interlaced back to a left and right file some of the original quality could be lost, but remixing the track for home-release is expensive and not too many companies practice this. Disney is one of the only companies I have found who quite regularly re-mix soundtracks for home release in their ‘Disney 5.1 Enhanced Home Theatre Mix’. Asynchrony is definitely an issue that needs to be avoided by all film/TV mixers. If sync errors are perceivable, this will have a negative impact on the viewers impression of the piece. Sometimes they might not be able to even tell you what the problem was. We are particularly perceptive of lip-sync, but we will notice other things soon after. 2.5 Frames (or 100ms) of out of sync material will be perceived by around 33% of an audience, by 5 frames and over 66% of the audience will see the problem. Early audio is a much bigger problem with 4 frames resulting in 94% seeing the problem; as such this must be avoided. Strict guidelines set by bodies such as the UK’s BBC help to keep this under control, however once a piece has been broadcast, there is no guarantee the consumer equipment will not introduce issues on their own. A typical cinema is big enough to introduce synching errors simply by the time it takes for audio to reach the listeners ears. Any room/situation larger than this will definitely have problems (think of the screens at a concert). The mixing position during post-production helps to ensure that these errors do not occur, and that center of the cinema is taken as the ‘sweet spot’ and then dissipates in a circle, this ensures that the extremities of the room should not have audio problems. Re-mixing for consumer release would be very costly and is probably not necessary considering the scaling down of the room does not introduce errors, but in fact places the viewer right into the mixer’s own perceived ‘sweet spot’.